Whisk and Spoon offers over 250 unique teas and tisanes, and if you are looking for a signature blend to enhance or compliment your menu, we can bring your vision to life! With hundreds of quality ingredients sourced from all over the world, the possibilities are endless. Low minimum orders allow you to keep your inventory fresh. Custom blends are available for loose leaf, bagged, k-cups or iced teas. Private labeling with a LOW minimum is available for loose leaf or pyramid sachet teas. Professionally and attractively packaged in bags, tins and boxes. Ideal for institutions with large foodservice establishments, schools, retailers and restauranteurs. 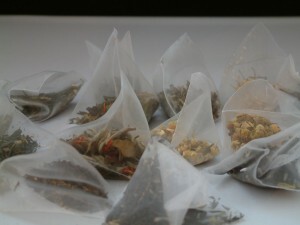 There are many ways to package Loose Leaf Teas today. 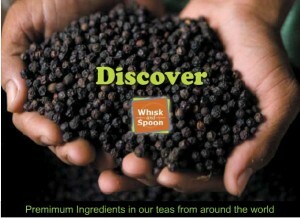 Whisk and Spoon has expertise in creating the right configuration for your tea for your setting. Our Organic and Fair Trade Whole Leaf Sachets are made with high quality whole leaf tea that is the same quality as our premium loose leaf tea. All the tea leaves are can be certified. The teabag is a pyramid shaped biodegradable bag and has enough room to let the tea steep properly. It produces the best cup of tea possible from a teabag. Low Minimums: Create an 'INSTANT" Tea product line for your foodservice, retail, cafe or business. Custom Blends: We can create custom blends with organic and fair trade teas.